Epigenetics is the study of potentially heritable changes in gene expression that does not involve changes to the underlying DNA sequence - a change in phenotype without a change in genotype -which in turn affects how cells read the genes. Gene expression can be controlled through action of repressor protein that attach to silencer regions of DNA. Many types of epigenetic processes have been identified-they include methylation, acetylation, phosphorylation, ubiquitylation, and sumolyation. Other epigenetic mechanisms and considerations are likely to surface as work proceeds. Epigenetic processes are natural and essential to many organism functions, but if they occur improperly, there can be major adverse health and behavioral effects. One example of an epigenetic change in eukaryotic biology is the process of cellular differentiation. 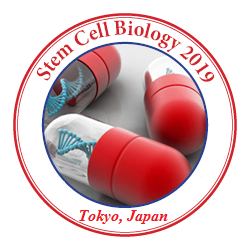 During morphogenesis, totipotent stem cells become the various pluripotent cell lines of the embryo, which in turn become fully differentiated cells. In other words, as a single fertilized egg cell - the zygote - continues to divide, the resulting daughter cells change into all the different cell types in an organism, including neurons, muscle cells, epithelium, endothelium of blood vessels, etc., by activating some genes while inhibiting the expression of others.